In the upcoming episode 11 of The UC Architects podcast, we discussed about preparing for the Exchange 2013 exams. As I blogged earlier, the new Microsoft Certified Solutions Master: Messaging certification requires the exams 70-341 and 70-342, next to the Microsoft Certified Solutions Associate: Windows Server 2012 certification. Booking is as normal, though the code for the beta exams is 71-341 and 71-342. Unless you have an invite or coupons, you will have to pay the normal fee for the exam. You probably won’t get the result immediately as with normal exams. Expect some weeks before you get the results. It’s a pain yes, but Microsoft is still working on the exams including scoring (I assume). It’s based on the Exchange 2013 Consumer Preview, so when training with a self built lab it’s probably wise to use those setup files, in case of important differences between the preview and the RTM setup files. 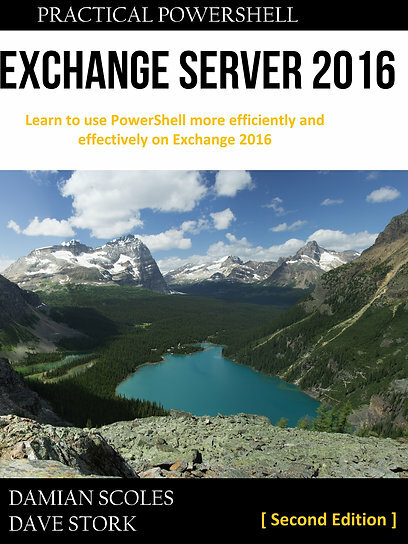 However, currently I can’t find download locations of the Exchange 2013 Preview, so if you haven’t downloaded that already use the RTM. Get the bits via MSDN/TechNet (you need a paid subscription for that) or an publicly available evaluation version from the TechNet Evaluation Center. There is currently no training material available. This is probably also the case during the first months of the RTM exams, so most of the tips I will present here can be used until training material is available. But do check the pages for the exams regularly for any updates on MS Press Training Kits or other materials. Obviously the Online Technet material is one source, but it can be very dry. Use the downloadable help files for the RTM version (also can’t find the preview version anymore), if you need the information when offline (during you commute in the train perhaps?). Read the Exchange 2013 blog posts from the Exchange Team. Other bloggers can also be a good source of information. Check out the Exchange bloggers from The UC Architects or find others via this page. I’m taking my exams in about a week and I wanted to share what information I plan to use to (hopefully) pass the exams. Good luck!